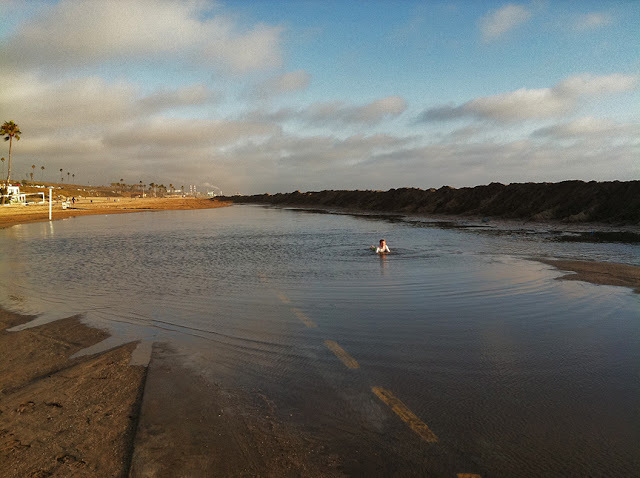 LA Photo: Beach Flooding In L.A.
High surf washed out part of the bike path between Playa Vista and Dockweiler beach, creating a giant pond of water on the beach. More high surf is expected till the end of week. Venice Beach pier was also closed today due to the heavy surf.